CAPE TOWN – If you haven’t already, it’s time to rally the filters and video editors and get your biggest airs from the past season into a tight clip. 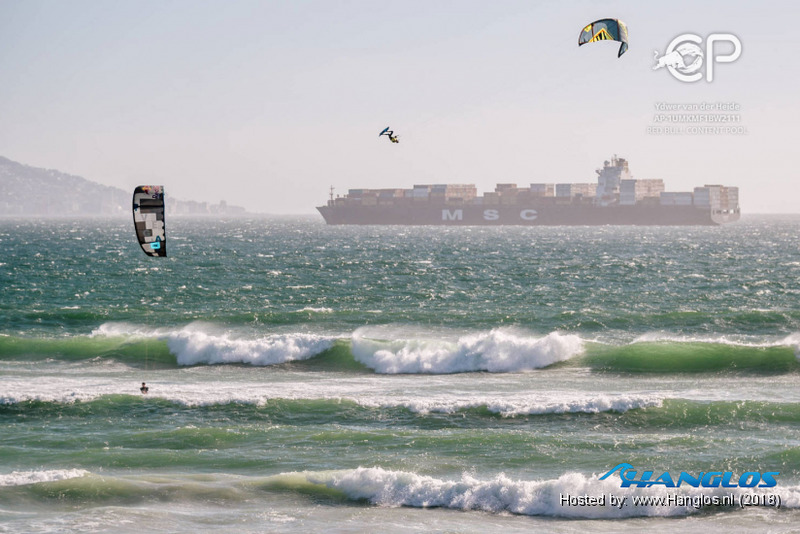 With the windy season in Cape Town fast approaching, the deadline for the video entry process for the most prestigious big air kiteboarding contest in the world, Red Bull King of the Air 2019, draws nearer. Red Bull King of the Air 2019 will return to Kite Beach in Cape Town where it was staged very successfully in 2018 and will have a window period of two weeks in late January and early February 2019 with the competition being run on the windiest day. Entries are open to riders from anywhere in the world, but there are only a few spots available. The 2019 rider list will be made up of the top 9 from the 2018 event with the remaining spots decided through the video entry process. Dutchman Kevin Langeree out-classed Spanish young gun Liam Whaley and Lewis Crathern to win his second Red Bull King of the Air title. The 2009 World Freestyle Champ last stood on the top step in Cape Town in 2014 and it was a fitting return after a serious injury had kept him out of the 2017 event. “The move to Kite Beach was the best thing ever,” Langeree said, “It gave us as riders the opportunity to show our moves and it was definitely a day I won’t easily forget,” he said. Riders vying for video contest slots need to convince the judges that they have what it takes to compete with the likes of Langeree and co. - the world’s best big air kiters. They need to do this by submitting a video of only their biggest and highest moves. According to Sportive Director, Sergio Cantagalli, the judging panel are looking for big, completed, aerials; and video clips through which the judges can clearly see the potential of the rider. “This event is unique in that it is in continued evolution with the input of the riders and the judges it is always our aim at improving it. It is like a World Tour in one event,” he added. Langeree, Whaley and Crathern are confirmed for the 2019 event along with be past champions Jesse Richman and Aaron Hadlow. Steven Akkersdijk, Lasse Walker, Sam Light and Gijs Wassenaar round up the top 9 that receive automatic entry in the event. Kiteboarders who think they have what it takes to compete in with the world’s best aerialists in an extreme air contest, are invited to submit a one-minute video of their biggest airs to redbullkingoftheair.com.